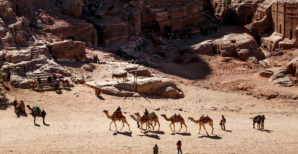 Adventure to Petra, Wadi Rum and the mountains of Dana - come discover the Red Rock City of Petra, Wadi Rum's martian desert and the unique mountainous zone of Dana!. 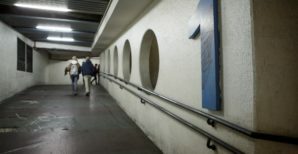 Tel Aviv Central Bus Station Secrets - We are heading under the grid and digging deep to discover Tel Aviv's underbelly at the infamous and now famous Tel Aviv Central Bus Station!. 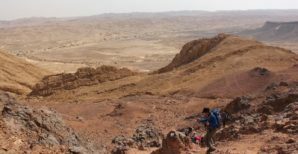 Join Finjan for a full day of hiking and adventure in the Israeli Negev across the Ramon Crater (Makhtesh) on the way to the famously jagged Tooth of Ramon (you'll get what we mean when you see it!). 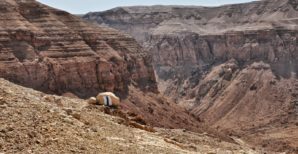 Desert season is officially here and Finjan is starting the festivities with a trip to Israel's 'Grand Canyon' - Wadi Heymar in the southern narrows of the Judean Wilderness. 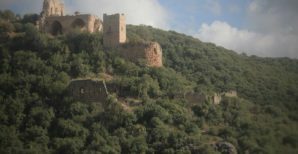 Join Finjan for a Galilean hiking adventure deep into the Kziv River Gorge and to the towering Montfort crusader castle. 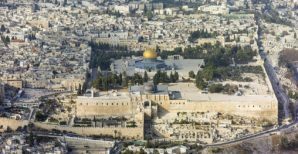 Join Finjan on a magnificent backpacking pilgrimage to the holy city of Jerusalem - a two day, challenging hiking adventure where we will ascend to the City of Gold; and the best part - its only 5 NIS to join the trip!! !.